Beets are high in immune-boosting vitamin C, fiber and other essential minerals like potassium. This stuff is AMAZING!!! I let everyone in my office try it and we all loved it. It is so yummy. It is not a sugar sweet kids fruit leather but a grown up sophisticated flavor. AMAZING! Why is it called You Love Fruit? We take a lot of pride in providing food that’s wholesome and natural. It’s truly a sign of love we share with our family, our friends, and our customers. We love our fruit and veggie leathers, and we know you will too! You Love Fruit is completely handmade, and made in the shape of hearts! What’s fruit leather, anyway? Fruit leather is portable dried fruit pulp. It’s called “leather” because its finished form is soft and pliable. 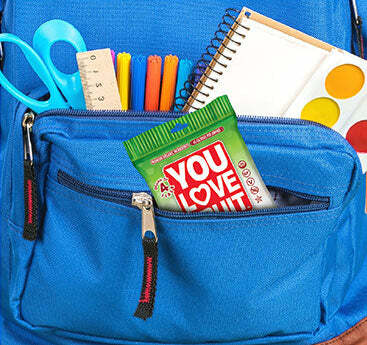 How can a fruit snack roll-up be healthy? 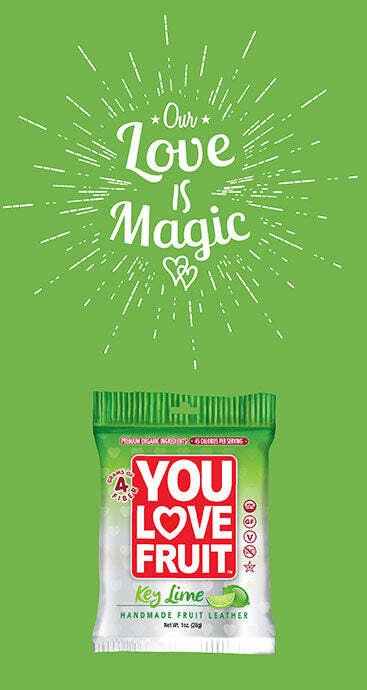 You Love Fruit and You Love Veggies have only natural ingredients. Nothing added, nothing artificial, so it’s as healthy as nature intended. They are naturally low in sugar, and they provide a healthful energy boost anytime. 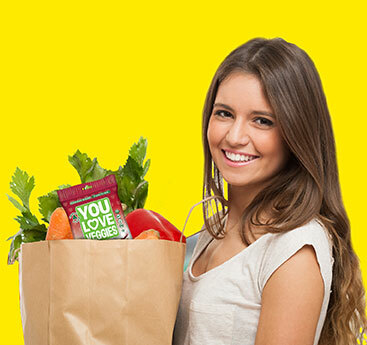 Where can I buy You Love Fruit and You Love Veggies? We’re available through fine food outlets and select stores and supermarkets. You’ll also find You Love Fruit on Amazon. What’s with the fold-over inside wrapper? Great question. Our packaging really is unique! 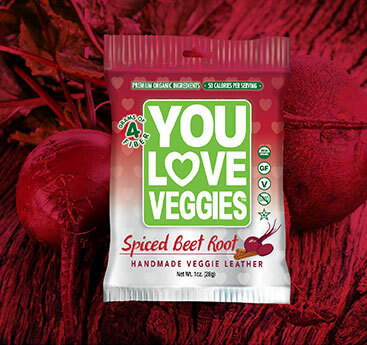 Each package gives you 16 heart-shaped pieces of fruit or veggie leather. We fold the inner paper into 4 sheets of 4 pieces to allow for easy control of portion sizes. No mess! How many calories and carbs are in a bag? How much sugar? Here’s the breakout range for each serving. (Note: the actual calorie, carb, sugar breakout depends on which flavor you choose of You Love Fruit). All ingredients are natural, and there are no additives.